Access everything you need to know about financing, ROI, photometics and lighting placement, LED technology, and more. Electro-Matic Visual is a pioneer in the LED lighting industry. We have helped countless customers across many industries achieve sustainable, energy efficient lighting solutions that save and make them money in the long term. 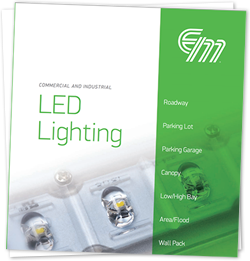 Fill out the form to access the LED Lighting Product Catalog now.